Mob’s collection no. 5 started as a manifesto to join, in a more active way, the fair trade market as well as the urge to produce products manufactured with eco friendly processes and materials. The Cortés tables are the outcome of a series of exercises that were made on a graphic level, which resulted in three tables suitable for bold people. Table 00 tabletop is formed by the intersection of two circles, table 04 tabletop is formed by the intersection of two squares and table 01 tabletop is formed by the intersection of two hexagons. Each one sectioned in more smaller pieces made out of three different marble kinds. 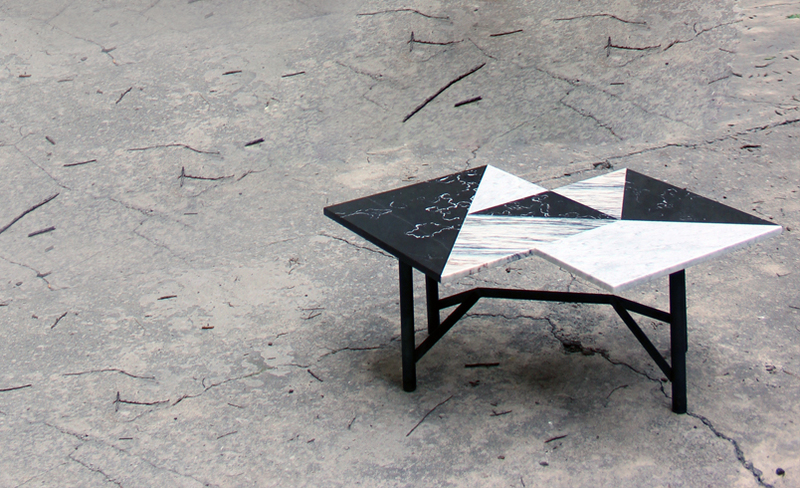 this table is a homage to the mason’s craft; each piece its cut and pasted manually. The table legs, with it’s simple form stand out for its chemical free finish which consists of retrieving heat to the metal creating an iridescent effect on the black surface. 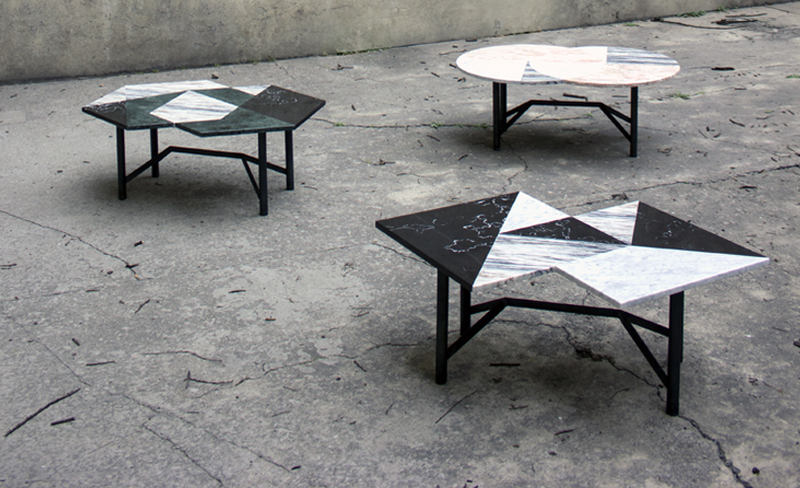 Each Cortes table will be different for the selection of the marble plates will constantly change. Every piece is chosen depending on the shape and context of the table.